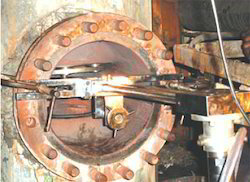 We are the foremost company for providing Valve Overhauling Service to the clients. This service is rendered by our experienced and creative employees who have years of expertise in this respective field. This service is rendered by our skilled and dedicated team of professionals using modern techniques. Dismantling the valves, checking the same, changing the ‘O’ rings, bushes, Teflon, seating joints etc. Boxing up the valves and fitting place. Safety is the top priority in every process industry. Which is why critical components such as safety, relief and emergency shutdown valves are given special treatment by Amrutha Engineering. Inspection and reconditioning is carried out under separate control in our purpose built clean facility. 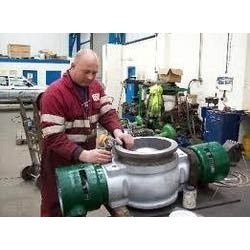 Maintainence , Repair and Overhaul (MRO) includes all actions which have the objective of retaining or restoring an i tem in or to a state in which it can perfoem its required mission. Aircraft MRO is the overhaul, repair , inspection of modification of an aircraft or aircraft component to keep it operational and air worthy.